We often hear, “Home is where your heart is,” and my heart definitely feels that it is home when I am by the sea. This Summer, home never felt so close as me and my family spent an unforgettable Summer in Clearwater, one of the top beaches in Florida. 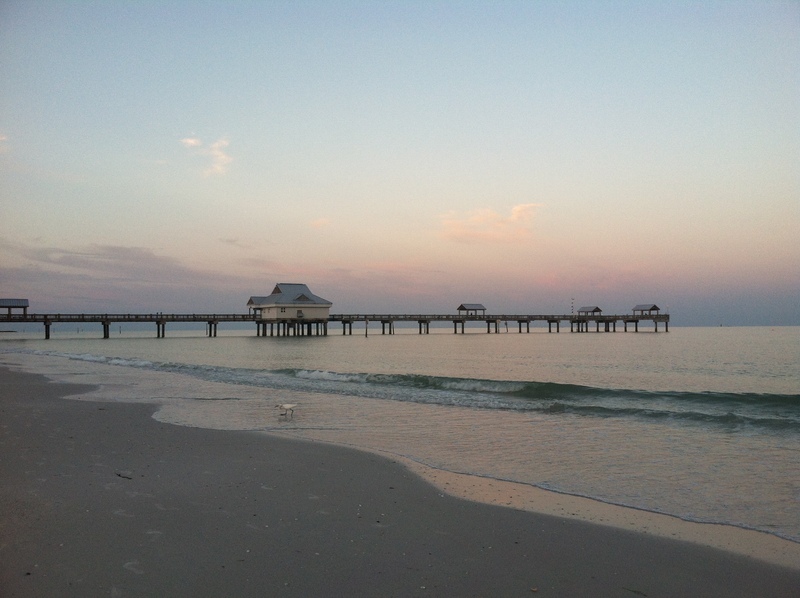 Clearwater was my dream vacation by the beach and this Summer, my wish came true. I told my wife, “This is the best Summer and Father’s Day gift ever. Thank you.” She gave me a big smile and said, “I know how much you and our son love the sea and I want you guys to have a great Summer.” It was a great Summer indeed and much, much more. We had so many adventures at Clearwater Beach from swimming, body boarding to fresh oyster feasting but the most magical was our dolphin encounter riding a tugboat called Little Toot. We arrived just in time to catch the sunset boat trip. We thought we were just going to see one or two dolphins but instead we saw lots of them. I was cheering excitedly like my 7-year old. The louder we screamed and clapped our hands, the more dolphins jumped out of the water. Sometimes, two dolphins simultaneously take a big leap. It was amazing! 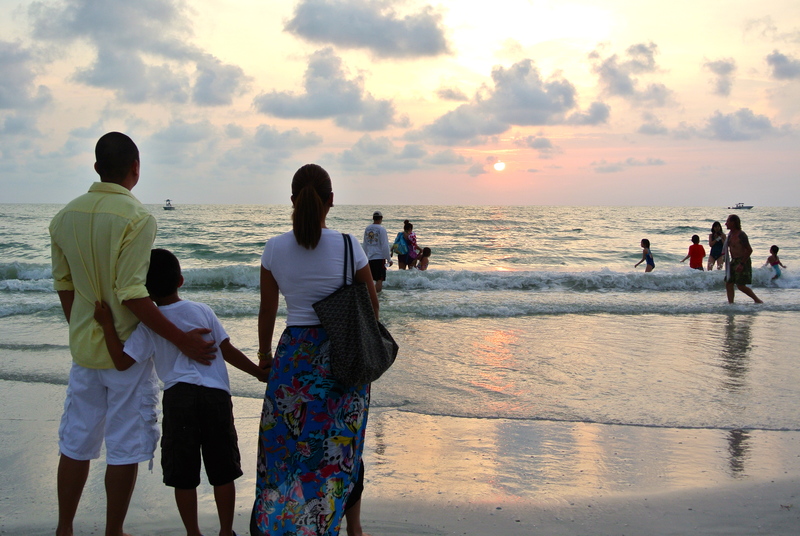 Dream vacation for me is having to watch a sunset, by the sea with the two most important people in my life. The very people who reminds me everyday that home is where you feel most love. A love that inspires me to keep searching for happiness that last. Happiness that I can take with me inside my little own home, my heart. This week I combined two of my favorite photo challenges. The first is the Weekly Photo Challenge called Sea and the other the Image Of Life called “Dream Vacation.” In both, it feels like forever Summer. 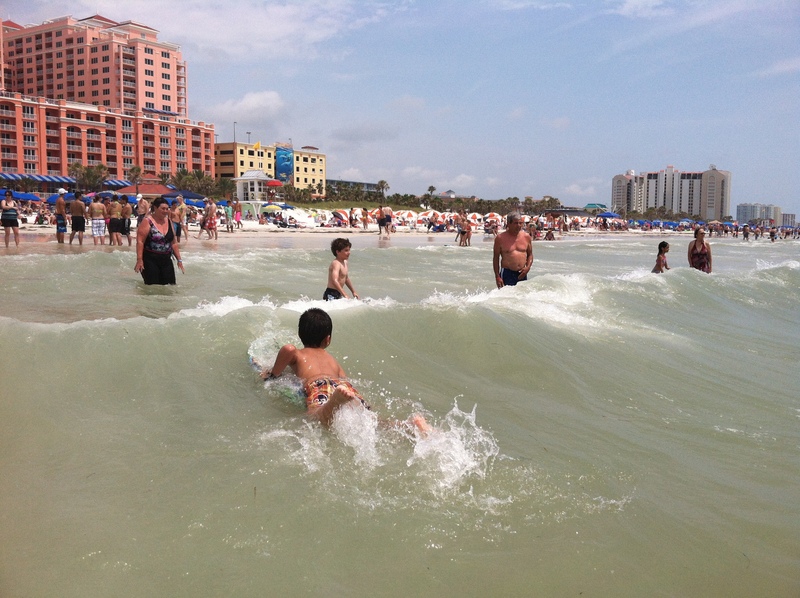 This entry was posted in Summer, Weekly Image Of Life and tagged Beach, Clearwater, Family, Florida, images of Clearwater beach, Photography, summer, Travel, weekly image of life, Weekly Photo Challenge. Bookmark the permalink. Anywhere we go love and inner happiness are treasures we can always take with us. The more, the better….thanks. Awesome! Sounds like my kind of vacation! Love the post, Island traveler! Thanks Gracie. I grew up close to the beach. So many happy memories with my sisters, cousins and yes, my parents. I hope to share the same magic with my wife and son. So far, the magic works. A truly wonderful post, Island Traveler. My family and I used to take wonderful vacations when my sister and I were kids — and even through our college years. They are some of the most precious memories I have. I almost never get to take a vacation now, but I will take seriously the wish you expressed for us to have that opportunity, and I will expect to be able to take a memorable vacation again soon. Thanks Sandra. I do wish for you a memorable vacation close to the sea soon. Life is short not to make as much precious memories as we can. That kind of hit me when I turned 40 two years ago….ha, ha, ha. Thanks to my camera plus “burst” feature I got to capture their very quick jumps. Thanks. I’ve GOT to get over to the other coast! My daughter raved about St. Pete (she was there quite recently) and now you are similarly excited about Clearwater. Sounds (and looks! fab photos!) like you all made fantastic memories there! Isn’t it so exciting to see dolphins so up-close? We’ve had lots of encounters like that over here and it’s an experience you never forget! St. Pete is just 30 miles away. We did went to Fort de Soto which I believe is part of St. Pete. Next year, I will check it out. One of the hotel staff said St. Pete has many beautiful beaches. Crossing my fingers. Hope you get to visit these places soon. Truly amazing. Thanks. Fabulous shots of the beach, IT. And, you saw dolphins, how exciting! Thank you for sharing the wonderful time you had with your family! Thanks Amy. We did and at several different occasions. It was something I will always cherish and remember. Best wishes to you and your family. I adore the last image; it’s telling about a family and their bond. Lovely post as always. It’s my most favorite. It somehow sums up what we all felt at that particular vacation and the future dreams we hope to have. We were all happy, something that hope have more in this lifetime. Thanks Sally. It’s our second trip. The first was by accident and we promised ourselves to go back and really take our time enjoying every bit of magic in that place. Glad we did. Thanks Jo. What a small world. There is something about it that makes you want to go back. Hope I’ll see it again next Summer. Yes, finger crossed my friend. Thanks. To wishes and dreams! Thanks. Great place with nice beaches, one that I remember visiting when my children were small, where we visited their MeMaw (Grandmother). I bet you and your children had the fondest and beautiful memories there. Thanks. I will check it out next time. 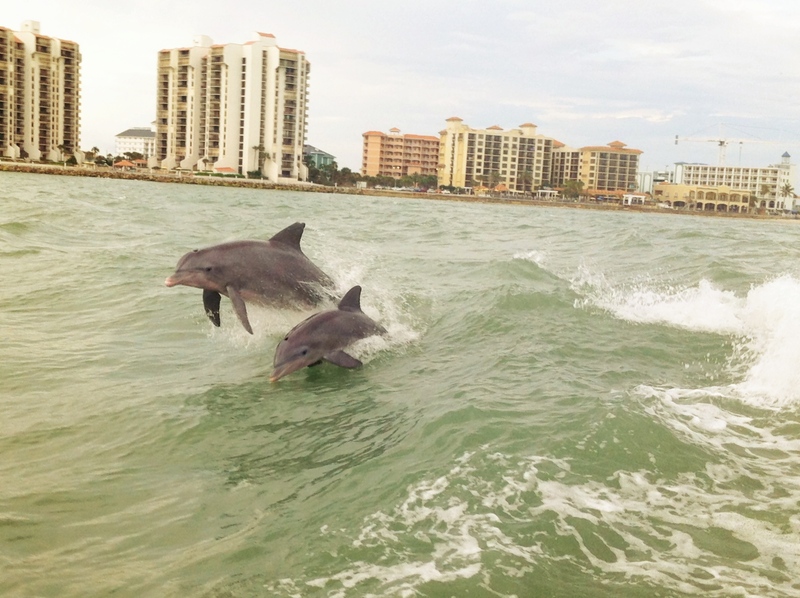 So much to see around the Pinellas County and its beaches for so little time. Thanks for the tip. I really wanted to relocate there. It’s like vacation time whenever I will be off from work. It’s free to wish and dream, right. Thanks. ” childhood memories stay close to our hearts and are meant to be remembered with heartfelt thoughts and love.” Just beautiful my friend. These are truly one of the most precious gifts we can have in this world. God bless you and your family. What a truly grand vacation and beautiful pictures too! Thanks Beb. I vacation that will inspire me always. We used to take our 3 boys to Galveston, something they all loved to do. We lived in Houston, but left our smiles on that those beaches. Thank you for your interest in Gwichyaa Zhee, our house on the flats. The door is always open! Oh, wow. That’s really cool. Perhaps one day we’ll cross path in Galveston. I agree, when you wrote, “We lived in Houston, but left our smiles on that those beaches.” If only I can work their, I would! Thanks. Best wishes to your family. I like it when you said, “summer has just begun”. Summer is state of mind. 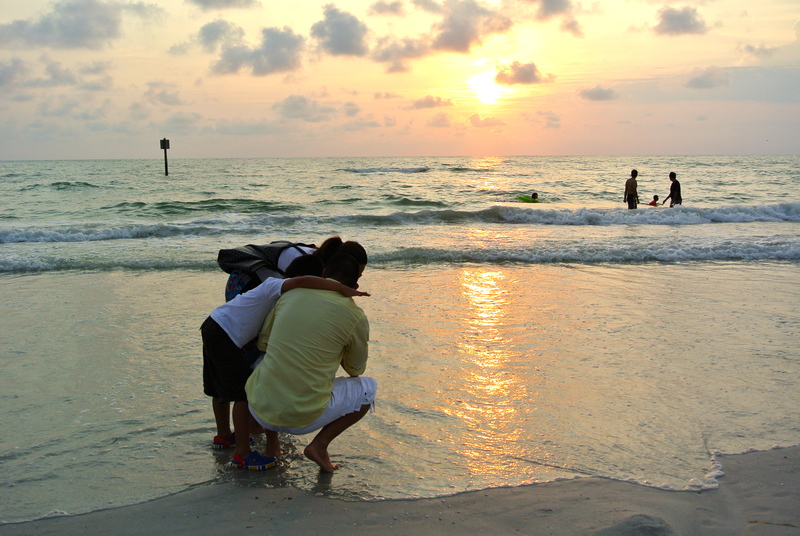 I bet you and your family will be reliving this dream vacation often…visualizing the fun times in Clearwater. Moments today are our treasured memories of tomorrow. Thank you. Yes, Summer is a state of mind and my mind is 365 days in tuned to Summer and its great memories. Your post about your son’s classroom is no longer here. I know I read it yesterday or Friday. I was just going to make a comment. What happened to it? Classroom? It may had been on an older post but I do appreciate the thougthfulness. Thanks for the visit and have a wonderful week ahead. I am very glad that you and your family had the chance to spend some time at its shore. 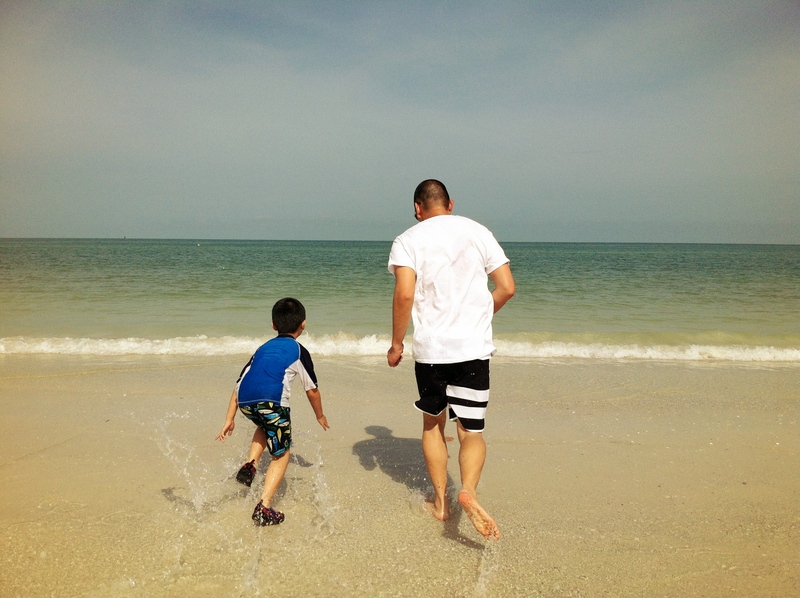 Your Son will one day speak of these days just as fondly as you recall your childhood days on the beach. Lovely pictures to go with the lovely sentiments. 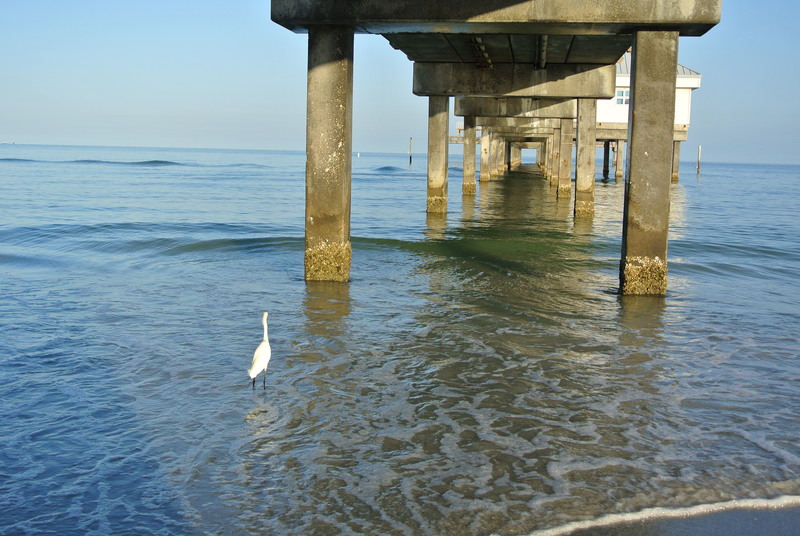 Loved that sixth picture of the lonely beach with the pier and the breaking wave with that bird wading in the shallows. True Happiness, or inner Joy that is Eternal, is not in things that are created but in the Creator of them and all things good had their beginning in Him . God bless you and your family greatly Island Traveler – Christian Love from both of us – Anne. Wonderful vacation….. Eternity is composed of memories like these…. a footrace to no where in particular. a father and son’s history. Thanks for sharing this beautiful vacation by the sea. As always I enjoyed all your picture as well as your heartfelt writing. Thank you! Thanks my friend. 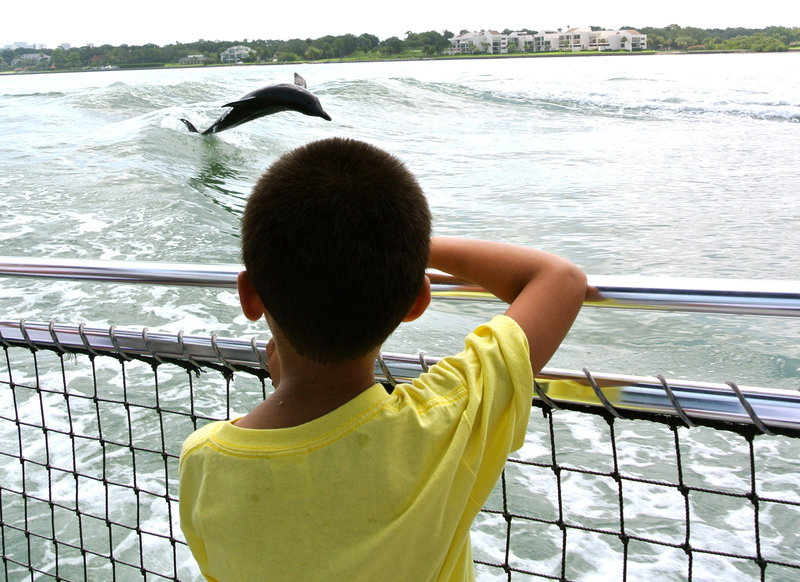 Seeing dolphins reminds us of what it feels to be a kid again. Precious events that warms the heart. I have lived in Florida since 1999 and have never been to Clearwater. Clearly, from your beautiful photos, I am missing out on a wonderful opportunity. I especially love the photos of the dolphins. Exciting action shot IT. Check it out. I fell in love with it the first time I saw it two years ago. It’s a great place to enjoy nature and reflect on life. Thanks. Thanks Angelia. There’s something magical about it. for a moment I forgot my worries and just had an amazing time with family. Oops, my comment didn’t go through… Let’s try again. Looks like a beautiful and wonderful vacation by the sea. The dolphin part looks absolutely amazing. We can go whale watching here but I’m not sure my kids are old enough to last a whole day on a boat yet. I took my time swimming in the Pacific ocean for the first time last weekend. With the ongoing heatwave the water was warm enough to go in for a little while. We’ll try it more next year but I wish the water was warm like in Florida. Whale encounter sounds even more exciting. That’s one of my dream wishes. I do wish one day soon your kids will see these amazing dolphins. The excitement is priceless. Thanks for sharing. Beautiful and your photos are superb. Nice vacation! I’m glad you had a great fathers day. Florida has some amazing beaches. By the way, did you know I’ve moved my blog to self hosting? If you were following in your reader you won’t receive updates. Hope to see you there! Great work as always! I will check it out. I’m happy for you. I self hosted too with Hostgator but so far it didn’t work out the way I expected it. Perhaps I didn’t follow the instructions right. What hosting service did you get? Thanks. It makes me smile to see you all having the best summer vacation. Your photos are grand. The dolphins especially. Now, enjoy your fall! I did have the best of Summer. Every Summer is unique and beautiful in itself. I’m not getting younger so I try to make it the happiest for my little boy…and me of course. ha, ha, ha. Thanks. You are still young! 😉 Enjoy. I am? I hope to be forever young at heart and spirit! A toast to the many great years ahead! Thanks. I’d been wanting to share my Summer adventures but in between the vacation time, I had to work extra hours. I do have so much to share to my blogger friends. To me, something that makes us happy must be shared so others will feel it too. Thanks. We did. It made us even more closer and just us appreciate life more in a more personal, meaningful way. Those photos of the dolphins got me. I want to go! Good news. It’s pretty much 365 days of Summer in Florida. Thanks. Thank you for sharing such love! I’m so glad I’m back to the blog and able to keep up with your inspirational writing. Love those photo’s!